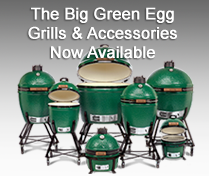 Be sure to visit our showroom to see a wide selection of gas fireplaces, wood burning, fireplaces, electric fireplaces, stoves, firepits, high end patio furniture from leading manufacturers, accessories, patio umbrellas, hammocks, furniture covers, Big Green Egg Grills, Weber Grills, awnings, and more. Serving Baltimore County including Arbutus, Arcadia, Baldwin, Baltimore Highlands, Boring, Bowleys Quarters, Bradshaw, Brooklandville, Butler, Carney, Carroll Crest, Catonsville, Chase, Fork, Cockeysville, Dundalk, Edgemere, Essex, Fort Howard, Franklinville, Freeland, Fullerton, Garrison, Germantown, Glen Arm, Glencoe, Glyndon, Granite, Gwynn Oak, Halethorpe, Hampton, Hebbville, Hereford, Hunt Valley, Hydes, Jacksonville, Jerusalem, Kingsville, Lake, Lansdowne, Loch Raven, Lochearn, Long Green, Lutherville, Maryland Line, Mays Chapel, Middle River, Milford Mill, Monkton, North Point Village, Nottingham, Oella, Overlea, Owings Mills, Parkton, Parkville, Perry Hall, Pikesville, Phoenix, Glyndon, Rodgers Forge, Randallstown, Reisterstown, Rosedale, Rossville, Ruxton-Riderwood, Sparks, Sparrows Point, St. Denis, Stevenson, Timonium, Towson, Turners Station, Upper Falls, Upperco, Wetheredsville, White Hall, White Marsh, and Woodlawn. For more information about Fireplaces, Stoves, Firepits, High-End Patio Furniture, Accessories, Patio Umbrellas, Hammocks, Furniture Covers, Awnings, Patio Grills, Big Green Eggs, Weber Grills, grill accessories, and more visit our showroom convenient to Baltimore County, just off 695 or I83, in Lutherville - Timonium at 1616 York Road.